There is near-universal agreement that America’s immigration system is not working well. Several years ago, broad bipartisan agreement was reached on a comprehensive approach to reform that would uphold the rule of law, serve America’s economic needs, and honor our values and history as a nation of immigrants. Among the elements of principled and workable comprehensive immigration reform are improved enforcement of immigration regulations, revised guest worker policies, and some process for undocumented immigrants now in the country to earn their way toward citizenship. Unfortunately, the last major effort to achieve reform was derailed by a campaign grounded in fear, stereotypes, and a divisive nativism that is unworthy of America’s ideals. The Obama administration has indicated that it will work with congressional leaders to move comprehensive immigration reform legislation this spring; one bill was introduced in the House in December and momentum to enact legislation is picking up. That makes this an important time, as the ball gets rolling on the new legislative push, to review the surpassing ugliness of past campaigns waged against comprehensive immigration reform and to prepare for scapegoating that will exploit the suffering caused by the economic downturn in the U.S. Since those earlier campaigns were also accompanied by a real and tragic rise in violent hate crimes against Latinos in the U.S., fair-minded Americans should be prepared to challenge and hold accountable media figures and public officials who use the debate over immigration policy to foment dangerous and destructive racial and ethnic resentments. Some academic research suggests that people’s attitudes toward immigration are strongly influenced by their level of prejudice toward Latinos. While many opponents of comprehensive immigration reform were careful to proclaim their respect for Hispanic immigrants who are in this country legally, a number of pundits trafficked in raw racial and ethnic politics, suggesting that “brown” “third-world” hordes were overwhelming and changing America. What is happening to us? An immigrant invasion of the United States from the Third World, as America’s white majority is no longer even reproducing itself. Since Roe v. Wade, America has aborted 45 million of her children. And Asia, Africa and Latin America have sent 45 million of their children to inherit the estate that aborted American children never saw. God is not mocked. And white America is in flight. Also in 2007 Buchanan published a book warning that America is committing suicide because the “majority” is “not reproducing itself” and warning that “white folks” are now a minority in Texas and New Mexico. America’s history has been shaped by generations of immigrants who came here to seek a better life and who have helped to build this country. Many Americans would be surprised to know that the kind of fear-mongering rhetoric heard above was heard a century ago regarding “mongrels” from eastern and southern European countries, who were decried as “invasive species” threatening to replace “Nordic” or “Teutonic” Americans. Claims that America has been built by and for white people, whether from David Duke or Pat Robertson, are not only historically inaccurate, they also violate basic American values and principles of decency. Politicians who encourage or repeat those kinds of divisive racial claims do not deserve to be treated as if their opinions merit respect. They should be forcefully challenged. America today is undoubtedly a more diverse country, racially and ethnically, than it was a century ago. Some people fear that diversity, and some obviously are willing to exploit those fears. But in a world in which economics and culture cross borders freely, America’s diversity is a strength, not a weakness. A corollary strategy to stoking fears among non-Latino Americans that “their country” is being taken away from them is to accuse immigrant rights advocates and Latino leaders of being racists. This is similar to the way right-wing leaders have worked to inflame racial resentment among white working class voters by saying, as Glenn Beck did, that President Obama has a “deep-seated hatred” of white people and “white culture” and that Supreme Court Justice Sonia Sotomayor was an anti-white racist whose career was devoted to denying equal justice and opportunity to white men. 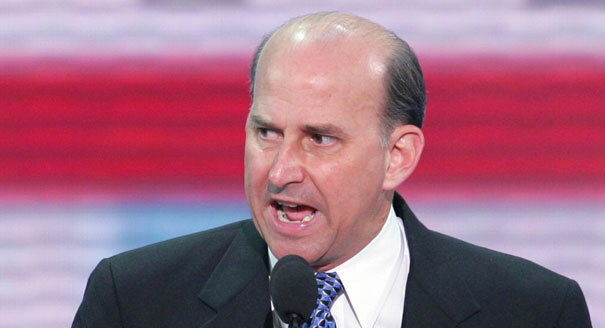 In April 2009, for example, Rep. Steve King denounced the Congressional Black Caucus and Congressional Hispanic Caucus as “separatist” organizations. Pundits and politicians who foment racial resentment by portraying Latino leaders as racists (or similarly by portraying President Obama as an anti-white racist) are playing with fire. Fanning racial and ethnic tensions in an increasingly diverse nation is an inherently caustic strategy, one that threatens to leave communities divided and, even worse, to encourage the growth of violent extremism and hate crimes. NCLR’s critics falsely claim that the statement “Por La Raza todo, Fuera de La Raza nada,” [“For the community everything, outside the community nothing”] is NCLR’s motto. NCLR unequivocally rejects this statement, which is not and has never been the motto of any Latino organization. Strategy 3: Portray Immigrants and Their Supporters as Invaders, Conquerors, Enemies of the U.S.
Another line of attack against immigrants and their advocates is the claim that U.S. sovereignty over the southwestern United States is threatened by a deliberate “reconquista” strategy being waged by the Mexican government and “illegal immigrants” to take back for Mexico land lost to the U.S. in the 19th Century. This line of attack puts Hispanic Americans, including elected officials, in the category of suspected enemies, along with anyone who supports immigration reform efforts. “The homegrown multiculti-mau-mau-ers know exactly what they believe, and they know exactly what they are doing. They aim to mainstream the “Stolen Land” mantra and pervert history. They aim to obliterate America’s borders by sheer demographic and political force. In 2007, Bill O’Reilly said supporters of the immigration reform bill “hate America” and “want to flood the country with foreign nationals, unlimited, unlimited, to change the complexion” of our society. 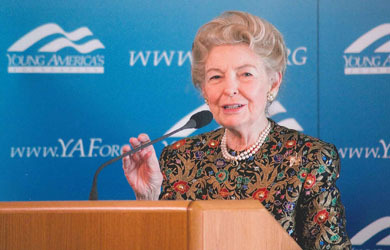 In portraying American sovereignty at risk, these anti-immigrant leaders have allies in some traditional Religious Right leaders like the Eagle Forum’s Phyllis Schlafly, who has been warning activists for years that the U.S. government is preparing to sell out American sovereignty to a North American Union encompassing Mexico, Canada, and the U.S. At her How to Take Back America Conference this spring, Schlafly welcomed anti-immigrant activist and GOP official Kris Kobach to lead a workshop on illegal immigration. It is a historical fact that much of the land in the Southwest was taken from Mexico in the 1840s, and it is true that some protestors pushing back against anti-Latino sentiment during recent debates have used rhetoric of the “we were here first” variety. But it is sheer McCarthyism for anyone to suggest, as Michelle Malkin did, that the “vast majority” of mainstream Hispanic elected officials believe the southwestern United States belongs to Mexico and are therefore represent threats to national sovereignty. National organizations representing Hispanic Americans, such as NCLR, are working hard to help Latinos achieve the American dream, not repudiate it. There is no evidence that the growing Latino population in the U.S. – most of that growth, by the way, is from births, not immigration – is not interested in the responsibilities of citizenship. Latinos work hard, pay taxes, and contribute to their communities. Latino citizens are the fastest-growing part of the U.S. electorate, and advocates are actively working to pass immigration reforms that will include a path for unauthorized immigrants to earn American citizenship. Mr. Camarota, in endorsing immigration restrictions based upon the imagined future activities of immigrants’ children and grandchildren, adopts a revealing approach in his anti-immigrant rhetoric. In doing so, he makes clear that immigration policy is not, in fact, his primary concern or that of his organization; race-based stereotyping and anti-Hispanic hatred are. Portraying Mexican immigrants as unclean and unsafe has a long history in the United States; a recent Smithsonian exhibit on the Bracero migrant-worker program during World War II showed workers being doused in DDT at the border. Before Lou Dobbs left CNN on a wave of controversy over his anti-immigrant grandstanding, he suggested that immigrants from Mexico were responsible for an epidemic of leprosy in America, a claim he did not withdraw even after those claims had been thoroughly debunked. The next time you eat in a restaurant or sleep in a hotel or motel….just remember to bring your own food, dishes, untensils [sic], glasses, towels, and maybe your own water. The person who cooked your meal or made your bed may very well be the one who picked your fruit and vegetables, yesterday….and we’ve heard the stories about what they do in the fields….haven’t we? 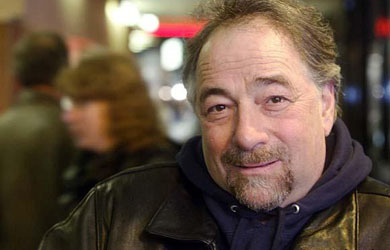 More recently, right-wing radio host Michael Savage was one of many to use the 2009 swine flu scare to drum up fear against immigrants, telling his listeners “illegal aliens are carriers…this is a disaster.” Savage also suggested that the flu might be a terrorist concoction planted in Mexicans as a way of delivering it to the U.S. He wasn’t the only one peddling that flu-as-weapon theory. Demonization of Mexican and other Latino immigrants is fueling hate crimes and violence against them, and it’s time for America’s leaders and media to put a stop to it all. 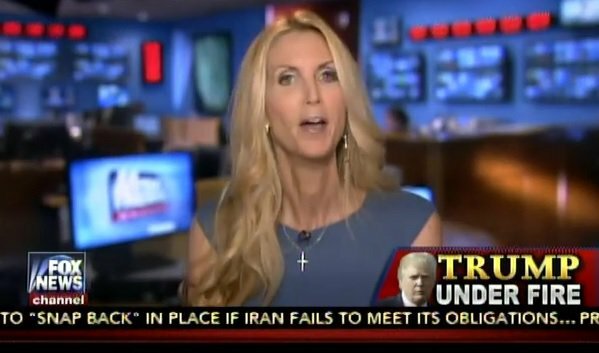 The swine-flu scapegoating of Mexicans over the past two weeks by some radio and television talk show hosts reflects the abandon with which many local officials, anti-immigrant groups and even an unthinking mainstream media create popular resentments, dehumanize immigrants and provide justification for the extremists among us to act violently. Pat Buchanan makes his political calculus clear. When pundits or political leaders try, as a number of elected officials and Religious Right leaders have done, to come across as reasonable while obstructing reform, they may say something like, “I support reform, but I can’t support amnesty.” They should be asked to define “amnesty.” If they define it as rewarding lawbreaking, ask them whether it is fair to apply such a sweeping term to a system that would require unauthorized immigrants to pay a fine, learn English, and spend time earning their way toward citizenship. If they call even a policy like that “amnesty,” they will be unmasked as obstructionists who are more interested in demagoguery than in finding workable solutions to the question of how to deal with millions of unauthorized immigrants now living and working in our communities. Most Americans understand that mass deportations are not a workable solution; politicians who support that kind of extreme measure shouldn’t be permitted to portray themselves as proponents of reform while waving a “no amnesty” banner. Bogus claims that support for comprehensive immigration reform is just about buying Hispanic votes for Democrats are exposed as false by the fact that the most recent push for reform was supported by then-President Bush and then-Senator John McCain, who would become the GOP presidential nominee in 2008. Immigration reform legislation passed the Senate in May 2006 with a bipartisan 62-36 majority; Senate compromise legislation in 2007 failed to muster the 60 votes to end debate, with senators from both parties split on allowing a final vote on the legislation, which the New York Times called a “cornerstone” of President Bush’s domestic agenda. While some GOP strategists and Religious Right leaders (see sidebar) are worried about the long-term impact of conservative anti-immigrant rhetoric alienating American Latinos, the fastest-growing ethnic group in America, it is right-wing pundits who are making crass political calculations that they can make short-term political gains by using racially inflammatory rhetoric around immigration to win votes from white working class voters. (See sidebar). The current economic challenges will make those divisive tactics more tempting, with anti-immigrant sentiments being dressed up in pro-worker rhetoric. The huge job losses in the American economy over the past couple of years and the real suffering being experienced by millions of families create an atmosphere that is ripe for anti-immigrant demagoguery. Some anti-immigrant activists will push this as part of the angry right-wing faux-populism that they have fostered in the health care debate. Immigration reform, we will be told, is being pushed by Democrats who want to buy Latino votes and by big-business Republicans who want to provide companies with a supply of cheap labor. It is clear that the party’s “tea party” wing will be happy to politicize immigration reform and try to pit American workers against immigrants. Consider Rep. Joe Wilson’s folk-hero status on the Right after he shouted “you lie” when President Obama said in a congressional address that the health care reform legislation would not make benefits available to unauthorized immigrants. American jobs continue to disappear at a staggering rate, and 15.1 million Americans are now out of work. At the same time, according to the most recent estimates from the Pew Hispanic Center, seven million jobs are held by illegal immigrants.Any action your administration takes to prevent illegal immigrants from getting jobs will help ensure that an American has a job. Pat Buchanan is of course more than willing to stoke this fire, saying that white working class voters “watch on cable TV as illegal aliens walk into their country, are rewarded with free educations and health care, and take jobs at lower pay than Americans can live on – then carry Mexican flags in American cities and demand citizenship. Two recent reports confirm that immigration benefits the American economy, and that immigration reform would boost the nation’s economic prospects. “Raising the Floor for American Workers: The Economic Benefits of Comprehensive Immigration Reform,” written by UCLA’s Dr. Raul Hinojosa-Ojeda and published by the Center for American Progress and the Immigration Policy Center, says comprehensive immigration reform that includes a legalization program for unauthorized immigrants and enables a future flow of legal workers would greatly benefit the American economy – to the tune of $1.5 trillion in added U.S. gross domestic product over 10 years. The report found that a deportation-only policy would result in a loss of $2.6 trillion in GDP over 10 years. An economic analysis published by the Immigration Policy Center in 2009 noted that as of 2008, “immigrants who arrived during the last decade were only 5.5 percent of the U.S. workforce.” The report found that “there is little apparent relationship between recent immigration and unemployment rates at the regional, state, or county level.” It’s worth noting that according to the Wall Street Journal, the current recession has hit foreign-born workers harder than native-born workers; immigrants currently have a higher unemployment rate than Americans in general. There have been some reports suggesting that under the current system unauthorized immigrants may have an impact on the wages of lower-paid Americans, which is one reason that organized labor unions are supporting comprehensive immigration reform. Undocumented workers without any legal protections are subject to exploitation by employers and therefore less likely to advocate for fair wages or to report abusive working environments. Moving those workers out of the shadows while establishing more effective controls on immigration are among the priorities of American labor unions that are supporting comprehensive immigration reform. In May 2006, Hayes held a sparsely attended rally in D.C. and called illegal immigration “the greatest threat to black people since slavery.” After a Hayes-organized anti-immigration rally in Los Angeles that turned angry and tense, LA Times columnist Erin Aubry Kaplan decried the “messy, saddening, surreal mix of too many things, notably black nationalism twisted into ‘my-country-right-or-wrong’ patriotism” but she also said she understood some black Americans’ “raw anger at being consistently at the bottom of the economic food chain” and feeling as if immigrants were being given greater consideration and opportunities. Kaplan also attended a 2007 symposium sponsored by the anti-immigrant Center for Immigration Studies on “Black Americans and the Challenge of Immigration,” which drew a range of academics and others focused on issues of diminishing black political power and the impact of undocumented immigrants on jobs and wages for poor blacks. There’s evidence that the widespread economic suffering will create new openings for those trying to push Black-Latino divisions. In February, Cord Jefferson posted on the popular African American website “the Root” an article titled “How Illegal Immigration Hurts Black America,” which anti-immigrant NumbersUSA happily promoted via twitter. Jefferson quoted Mark Krikorian from the anti-immigrant Center for Immigration Studies, who is happy to push the wedge: “To be blunt a lot of employers would rather not deal with black American workers if they have the option of hiring a docile Hispanic immigrant instead.” CIS has also recently touted a poll purporting to show that African Americans and other minorities support deportation of undocumented immigrants rather than a path to citizenship. There are examples of on-the-ground coalition work resisting the wedge strategies: in San Francisco in 2008, Black and Latino carpenters teamed up to fight a divide-and-conquer strategies of a major construction company which sought to pit the groups against each other. In Mississippi, Black and Latino shipyard workers and their advocates organized to stop near-slavery conditions among Indian men who were brought to the U.S. in the aftermath of Hurricane Katrina as an exploitable and vulnerable workforce. There is virtually unanimous agreement in Washington that the current immigration system is not working. The debate we are now entering into should be about how we try to fix the system. Comprehensive reform is a major challenge: it must address how we police our borders to better control the flow of immigrants into America; how we design guest worker programs that meet our economic needs while protecting the interests of American and immigrant workers; and how we deal realistically and honorably with the millions of unauthorized immigrants in the U.S. who are currently contributing to the economic and cultural life of our country. There is room for plenty of legitimate debate over the contours and details of reform proposals. But the nature of the debate itself will tell us a lot about the state of American politics and culture, and whether our elected officials and other public figures will have the courage to stand up to those who will use the occasion to exploit difficult economic realities, fan ethnic and racial divisions, and lie about the impact of immigrants on American life. People For the American Way Foundation calls on Americans to equip themselves with the facts about immigration and immigration reform, and to be vigilant in challenging public officials and pundits who spread fear and false information. Lou Dobbs’ departure from CNN after turning his show into a seemingly full-time attack on undocumented immigrants is evidence that people raising their voices in opposition to falsehoods and intolerance can have an impact on public debate.